Manufacturer of a wide range of products which include ofloxacin ornidazole terbinafine hcl clobetasol propionate cream and diclofenac methyl salicylate menthol linseed oil gel. WE ARE LEADING AND FASTEST GROWING PHARMACEUTICALS COMPANY IN MANUFACTURING AND MARKETING SECTOR. 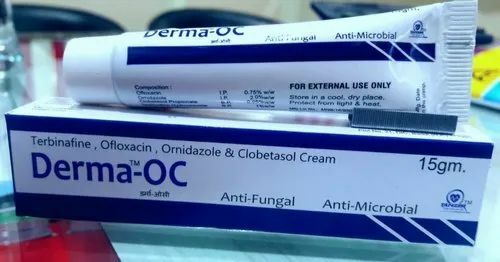 WE PROVIDE OFLOXACIN + ORNIDAZOLE + TERBINAFINE HCL + CLOBETASOL PROPIONATE CREAM. we provide diclofenac +methyl salicylate + menthol + linseed oil gel.